The Nonlinear life school organized in 2017 was successful particularly due to converging sciences approach employed to deliver knowledge. The school participants from Belgium, France, Germany, Italy, Latvia, Lithuania, the Netherlands, Poland and Russia covered a wide range of topics – virtual and augmented reality for medicine, medical physics in oncology, the use of smart textiles in motion capture, new generation biomedical fibres and their production technologies, the use of artificial intelligence in medical physics research, chaos and orderliness, structural biology, nanotechnology, big data in health and other topical engineering themes related to human life. In 2018, the professors from Germany, Israel, Italy, Latvia, Lithuania, Poland, Spain, Turkey, and the USA will deliver the lectures, share the experience and offer the topics for the converged sciences projects to be developed by the students during the summer school. You will visit advanced health care institutions, for example, the Oncology Centre of Latvia as well as enterprises like Baltic Scientific Instruments (specialized in the development and production of devices for spectrometric analysis based on semiconductor and scintillation radiation detectors) and Riga Nuclear Medicine Centre (nuclear medicine research laboratory, which is providing research and commercial research services). Certificates of Further Education of Riga Technical University and 5 ECTS (European Credit Transfer System) credit points will be awarded upon completion of the program. Our summer school has been selected for second consecutive year as a receiver of German Academic Exchange Service (DAAD) scholarship provided to the students from Germany. For more detailed information regarding DAAD scholarship and application requirements, please visit the homepage of the program «Go-East Summer Schools» implemented by DAAD. Results of the evaluation will be announced to each individual by 21 May 2018. The thrust of the lectures will be reviewing reduced dimensional materials in terms of their unique characteristics and applications in sensing/detection, force protection, and contamination remediation. An emphasis will be placed on smart and connected aspects to enhance safety and security worldwide. 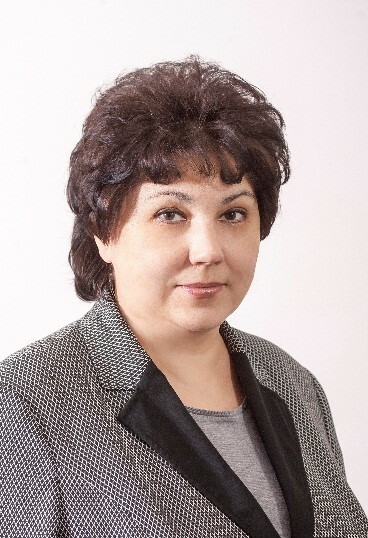 Prof. Vaseashta currently serves as the Executive Director of the Office of Research, Grants and Sponsored Programs, and Chair of Institution Review Board at NJCU. He provides strategic leadership to promote and advance research initiatives and priorities. His research interests include Critical Infrastructure protection, biosecurity, advanced and nano materials for development of chemical-bio sensors/detectors, environmental pollution monitoring and remediation, and green nanotechnology. The lesson will deliver a fundamentals on materials for biomedical applications. The students will acquire the basic concepts of the structures, physical and mechanical behavior of different classes of the materials: metals, polymers, ceramics and composites. Traditional and innovative technologies of production of the different materials and their influence on behavior of biomaterials will be described. Resistance, degradation of the materials, particularly with respect to biocompatibility will be considered. Examples of materials for biomedical applications will be detailed. Professor of Science and Technology of Materials. Italian delegate at the Board of the International Corrosion Council (ICC). The leader in the field of electrochemistry and corrosion, primary focused on the environmental assisted cracking of traditional and innovative steels, aluminum and titanium alloys. Nowadays is working on the corrosion of aluminium, titanium and nickel alloys obtained by means of the innovative Additive Manufacturing techniques. The lesson will be devoted to a general overview about the additive technologies to produce materials and products for industrial applications. A focus on the available standards and qualification issues for parts will be also done. Particular attention will be paid to laser powder bed techniques, binder jetting, direct deposition and material extrusion. The techniques will be described and critical aspects of the most promising will be addressed. Graduated from the mechanical engineering at the University of Bergamo, 2005. PhD (2010) in Mechatronics and Innovative Technologies at University of Bergamo. The scientific activity: correlation between the microstructure and the properties of materials in particularly - steel and corrosion resistant alloys; corrosion in energy production plants, corrosion of materials produced by means of additive manufacturing, corrosion in drinking water, environmental assisted cracking of high strength steels, cathodic protection design based on numerical simulation, electrochemical techniques for corrosion protection and prevention. Methods and tools for Reverse Engineering techniques to improve design practices for the development of 3D printed medical devices. Application of digital tools for geometric modelling of custom fit products which have to be made by means of additive manufacturing. Main research topics: Human Modelling, Mixed Reality, IT for Health, Additive Manufacturing, Reverse engineering techniques. Main research activities: Development of Knowledge CAD systems for design of medical devices, Virtual reality applications for design of medical and industrial high customized devices, Software development of applications based on motion capture systems for gait evaluation of SCI patients, hemiplegic patients and patients with lower limb amputation. To convert an analogues signal to the digital one the sampling of the signal is used. The accuracy of the sampling is influenced by intended word length in bits. Unfortunately, the sampling errors are nonlinear and depend on the shape and magnitude of the signal. We will discuss the methods, how to calculate the result by the signal processing algorithm with the finite word length samples. Interest's area is covered by the digital signal processing for the electrical engineering and the biomedical signal processing in the medical physics/engineering field. Innovative and eco-friendly approach in synthesis of silver nanoparticles (AgNPs) in a visible light sensitive biomatrix and modeling of the essential physical-chemical concepts will be considered. These will be focused to understand the preparation of novel nanomaterials for targeted cancer treatment. The compounds activated with white light treatment (wLED) give an opportunity to create an excellent solid biopolymer platform/biosubstrate with the extremely reduced of AgNPs (average size in the range 2-11 nm). These biomaterials exhibit cytotoxicity in vitro against some human cancer cell lines. The presented nanobiomaterials are promising candidate for both targeted cancer therapy and electronic imaging. Received M.Sc.&Ph.D. degree in 1997 from the Baku State University, Azerbaijan, in Physics& Molecular Physics. Worked at the Institute of Element-organic Compounds, USSR Academy of Sciences. Visiting researcher Middle East Technical University/Turkey (1993-1996), postdoctoral fellowship at Department of Electrical Engineering at University at Buffalo, New York State University SUNY / USA (2016-2017). From 2014 the assistant professor in Baskent University Biomedical Engineering Department. Specific interests and expertise: nanobiomaterials & metal nanoparticles; fabrication visible light sensitive novel biomaterials; biosensors, innovative approaches in the development of multifunctional smart biomaterials and techniques. Continuous nanofibers represent an emerging new class of nanomaterials with distinct advantages for macroscopic nano-enabled applications. This lecture will cover controlled nanomanufacturing and scale-up, structure and properties evaluation and optimization, as well as current and prospective applications of nanofibers in areas of spanning ultrahigh-performance structural composites, ultrafast sensors/actuators, autonomous responsive materials, and unique biomedical applications and devices. Was employed as the researcher at several universities around the world (USA, New Zeeland, Japan, France, Italy, etc). Research interests focus design, manufacturing, modeling, and characterization of advanced nanomaterials, composites. Introduced a concept of nanoreinforcement of interfaces and pioneered development of cost-effective delamination resistant nanomodified structural composites. Currently is involved in the development of manufacturing processes and applications for several functional nanofibers. Member of the six professional societies and serves on a number of the US national panels and committees on nanomanufacturing, advanced materials, composites, etc. Medicine is a profession that incorporates science and the scientific method with the art of being a physician. Over the years the science has made a shift from a single-investigator, usually unidisciplinary findings to multi-, inter-, and transdisciplinary collaborative teams or so-called team science. This new approach has played a significant role in research on diagnosis and treatment of heart disease. In collaboration with physiologists, physicists and bioengineers we tested and implemented a new non-invasive diagnostic tool for coronary artery disease which is the main cause of heart attack. This method is based on construction of an anatomic model of coronary circulation (arteries that supply the heart) from cardiac computed tomography angiography, a mathematical model of coronary physiology, and numerical solution of the laws of physics governing computational fluid dynamics. Professor of Medicine of the Faculty of Medicine and Director of Institute of Cardiology and Regenerative Medicine at the University of Latvia, Chief of the Latvian Centre of Cardiology at Pauls Stradins Clinical University Hospital. The President of the Latvian Society of Cardiology and the Vice-President of the Latvian Academy of Sciences. His major fields of scientific interests: interventional cardiology, regenerative medicine, precision medicine and epidemiology of cardiovascular disease. The atrial fibrillation is a nation wide disease with 2.2% of the European population. In the last years some medical devices and technologies have been developed. They are based on cryotherapy to treat successfully this disease with minimal invasive surgery, when pharmacotherapy is not successful. The cool-loop is an example of this technology solutions - the cryoballoon-ablation-catheter is considered to treat the atrial fibrillation in the pulmonale vein with a minimally invasive way. Professor for Medical Engineering, I. Arabaev Kyrgyz State University, Kyrgyzstan; lecturer at the University of Applied Science, Aachen, Germany. Frequently Guest Lecturer at the Riga Technical University, Riga, Latvia. Senior Medical Devices Expert in medical device industry; leader of the healthcare projects, consulting and management in Germany. Self-healing is a particular property of some animals and plants in Nature. Can self-healing be imparted to synthetic materials? Explore together the world of smart materials. Full Professor at the University of Alicante (Spain). Head of the Adhesion and Adhesives Laboratory at the University of Alicante. 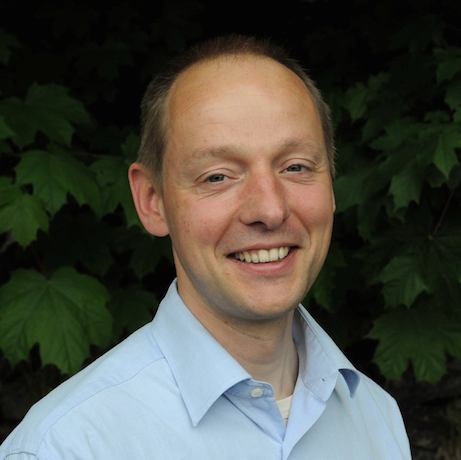 Editor-in-Chief of the Journal of Adhesion Science and Technology; Associate editor of «Rubber Chemistry and Technology». Robert L. Patrick Fellowship awarded by the American Adhesion Society. 2013. 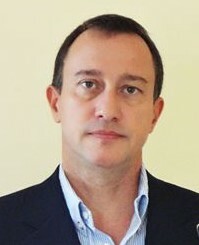 President of the Spanish Adhesion Society (2010-date). National Expert. European Commission. Directorate GIII. 2005-2006. Biological systems – whole organisms, organs, tissues, single cells - are complex open dissipative systems. Their dynamical stability occurs through a number of mechanisms. Living systems exist in the states far from thermodynamic equilibrium and show a nonlinear behavior typical for deterministic chaos that enables an efficient adaptability. Because of nonlinear, chaotic nature of the living systems nonlinear methods, e.g. fractal methods, of signal analysis are more proper that linear approaches. For example carcinogenesis, may be studied through analysis of images due to fractal methods. The examples will be demonstrated. The physicist with more than 40 years of interdisciplinary experience. Initiator and organizer of a series of European Summer Schools EUROATTRACTOR. Contributed to the theory of structure-property relationships in crosslinked polymer materials through his topological theory of networks, so called Systems with Discrete Interactions. Currently, he is involved in the research on nonlinear methods (in particular fractal methods) in medicine and medical diagnostics - biosignal (EEG, HRV) analysis with applications in patient monitoring (e.g. of the depth of anesthesia) and in assessment of pharmaco-therapies, as well as image analysis in histopathological diagnosis of cancer. The Virtual Reality (VR) technology that uses specific interfaces allows «creation» of realistic environments where the possibility to see, manipulate the virtual objects, touch them provides a high feeling of immersion and presence in the virtual world. The Augmented Reality (AR) technology allows the real-time fusion of computer-generated contents within the real world in order to provide the impression that the virtual and real objects coexist in the same space. In medicine the VR/AR technologies make available new tools for diagnostics by translating the information contained in medical images into a 3-dimensional virtual representation of the patient that is a realistic replica of the patient with the actual pathologies. New forms of medical education have been developed to train the surgeons without any risks for the patient. New applications of AR technology allow overlapping of the 3D virtual models of the organs on the real patient during the intra-operative procedures in order to carry out the surgical tasks in a way that are both faster and safer. Prof. at the Department of Innovation Engineering and the Director of the Augmented and Virtual Reality Laboratory (AVR Lab – www.avr.unisalento.it) at the University of Salento, Italy. Research interest concerns the study and development of applications based on Virtual and Augmented Reality technologies for surgery, cultural heritage. He develops human-computer interfaces for the interaction with virtual objects. De Paolis is the responsible for the «Advanced Virtual Reality for Medicineē research group at the Laboratory of Interdisciplinary Research Applied to Medicine (DReAM) at the Hospital of Lecce, Italy; the vice-president of MIMOS (Italian Movement Modelling and Simulation); the founder of AVR Med srl (www.avrmed.com), a spin-off company of the University of Salento; the organizer of the International Conference on Augmented Reality, Virtual Reality and Computer Graphics (SALENTO AVR). Progress in nanotechnology has determined new strategies concerning drug delivery into the central nervous system for the treatment of degenerative and inflammatory diseases. Today, brain targeting through systemic drug administration, even in a nano-composition, is often unsuccessful. Therefore, we investigated the possibility of loading T lymphocytes with PGLA–PEG COOH magnetite nanoparticles (30 nm), which can be built up to easily bind drugs and monoclonal antibodies, and to exploit the ability of activated T cells to cross the blood–brain barrier and infiltrate the brain parenchyma. We demonstrated that T cells containing nanomaterials hold the possibility of carrying and releasing nanoparticles in the brain. Professor of Medicine & Immunology at the University of Florence. His main research activities deal with immune responses and nanomedicine. More than a year ago the Nuclear Medicine Center Ltd. launched cyclotron facility with 18FDG production according to GMP and Eur. ph. regulations that were followed by 18F-Choline and new and innovative 68GaPSMA. We developed the radiopharmaceutical manufacturing process on equipment that is currently available to gain efficiency, GMP and local regulatory compliancy and safety for production operators. Molecular biologist (University of Latvia). MBA (Riga Business School). 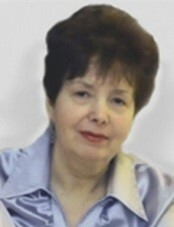 Founder and Member of the Board, «Nuclear medicine center» SIA, Latvia. Chairman of the Board of the Latvian Association of chemical and pharmaceutical enterprises. Former Adviser of the Minister of Economics of the Republic of Latvia and Vice Director for Production at the Latvian State Pharmaceutical Company GRINDEKS. An overview of the general situation in the measurement of the nanoparticles will be given. Live demonstrations/physical experiments related to nanoparticles measurements will be provided. PhD in engineering. More than 30 inventions. Specialized in precise laboratory instrumentation development and production. 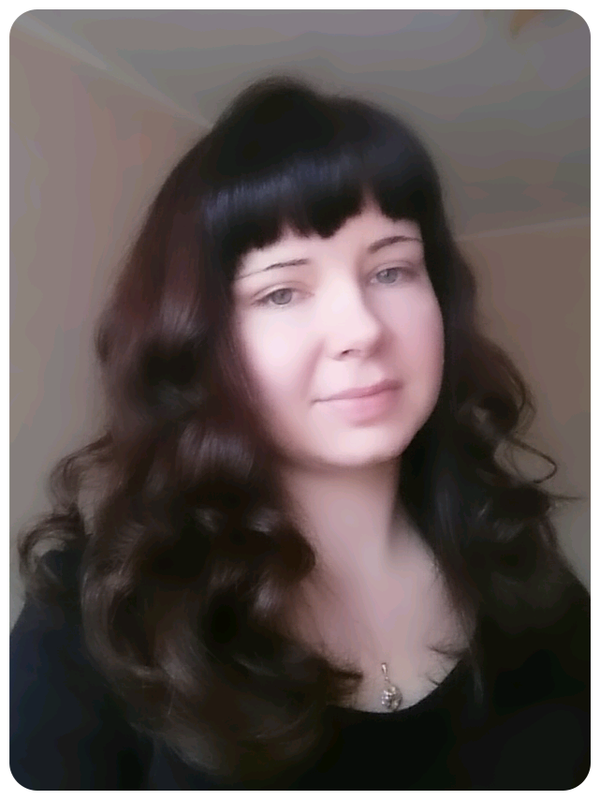 Project Director of ELMI Ltd, Latvia. Lecture @ Nonlinear Life. Edition 2: Deep learning and big data. Are they a fashion or a research tool for me? Up to date informatics applications are examined. Professor of Medical Physics. Co-director and lecturer at the Medical Physics College organized by the International Centre for Theoretical Physics Trieste. Actually lecturer in many Universities in Europe, Asia and South Asia. Partner in several EC projects, mostly related to training of the Medical Physicists. sensors) are useful tools for studying the brain’s pathophysiology, neurochemical and behavioral changes related to motor impairment, in realtime. Development and application of integrated neurosensor networks for realtime monitoring of brain neurochemistry and motion will be discussed. The Research focuses to study the etiopathogenesis and the therapy of neurodegenerative diseases through innovative neuroanalytical tools (in-vivo microdialysis and new voltammetric techniques –biosensors in particular - for realtime and wireless monitoring of molecules in the brain extracellular space). Lecture @ Nonlinear Life. Edition 2: Are nonlinear dynamics and chaos mathematical abstraction or practically relevant phenomena? The basics of nonlinear dynamics, including some specific features of chaotic modes of operation will be considered. The application of the innovative approach – Method of Complete Bifurcation Groups – to the dynamics of widely used systems is examined. The practical applicability and relevance of nonlinear methodologies to real life problems will be discussed. PhD in engineering, Assoc. Prof. at the Faculty of Electronics and Telecommunications of the Riga Technical University. Head of the department of Radioelectronics. Research interests include nonlinear dynamics, chaotic systems, wireless sensor networks, energy harvesting systems, switching power converters. The history of the living organisms can be tracked for the past 3.2 billion years – due to its linearity. This led Rudolf Virchow (1821-1902) to formulate: «omnis cellula e cellula». In 2010, Craig Venter claimed to have created the first synthetic cell «whose parent is a computer», thus interrupting progeny. With current progress in synthetic biology more new-to-nature organisms can be expected or even become normality. I will present and intend to trigger thoughts about biotechnological hopes and societal fears connected to biologically nonlinear life. PhD in biology at the University of Marburg/Germany; Habilitus doctor in Genetics at the University of Cologne. Professor for Biochemistry/Molecular Biology at University of Applied Sciences Mittweida/Germany. Experience as the PostDoc and Independent Researcher in Sweden and Germany, Bioinformatics Manager at BASF Plant Science. Molecular clock shows speed of changes of biomolecules in the time scale which can be different in different historical periods. Molecular clock is used to understand timing of importants events during macroevolution, but can have also some application to understood microevolution. Epigenetic mechanisms, no related with direct changes of DNA, can masked the clock’s ticking. Habilitus doctor in biology from the University of Latvia. Professor of genetics at the Faculty of Biology of the University of Latvia, Head of the Laboratory of Environmental Genetics of the Institute of Biology. Main area of interest population genetics, evaluation and use of plant genetic resources. Peptide nanophotonics is a new paradigm which can revolutionize emerging fields of precision medical trials and health monitoring. It is based on bioinspired synthetic peptide materials where unique combination of intrinsic biocompatibility with remarkable multifunctional optical properties and developed nanotechnology of large peptide wafers and their patterning make them highly promising for development of implantable optical biochips. Full Professor at the Tel Aviv University, Israel. Physics and technology of bioinspired nanomaterials, Nanobiomedicine and Bionanophotonics, Bionanodots, Peptide Nanophotonics, Peptide integrated optics, Implantable lab-on-chips. Everyday work and responsibilities of medical physicist in radiotherapy department, modern radiotherapy techniques and the main challenges to improve the quality of treatment procedures, another perspective of 1 mm sizes regarding human health. Practical brainstorming-safety barriers in radiotherapy, craniospinal plan analysis. Master Degree in medical physics from the Riga Technical University, Latvia. Medical physicist experience for almost 10 years at the largest hospital of Latvia for oncology. Experience working with different kind of radiotherapy equipment and treatment planning systems. Interested in stereotactic radiosurgery procedures, hypofractionation. Lecture @ Nonlinear Life. Edition 2: Multiphoton processes in biomedicine: towards cancer therapy and diagnostics. Interaction of the electromagnetic radiation with matter is described by well accepted principles of photobiology: Lambert-Bugger-Beer law and Bunsen-Roscoe reciprocity law. The advent of the high-power pulsed lasers has resulted in the capability of generating intense burst of monochromatic radiation in very short times. These pulses are so intensive that the probability is great that two or more photons may participate in a particular excitation event. Such processes are currently observed in different kinds of material, including solutions of biomolecules and may also occur in living biological systems. Lectures are devoted to the explanation of two-photon, two-steps and upconverting processes in biological active molecules and upconverting nanoparticles with special emphasis on the cancer therapy and diagnostics. Different types of multiphoton excitation will be summarized in detail as well as the future perspectives of application in photodynamic cancer therapy and diagnostics are also will discussed. 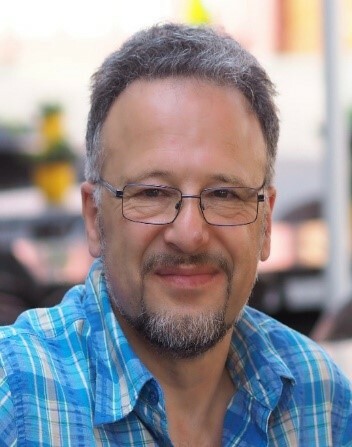 Prof at the Department of Quantum Electronics of Physics Faculty of Vilnius University; head of the laboratory of Biomedical Physics at Vilnius University Institute of Oncology. 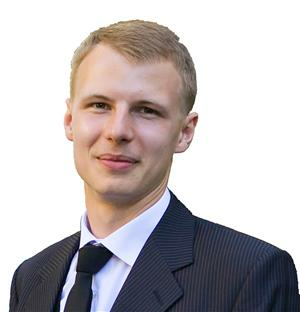 Main scientific interests: biophysics, biomedical physics, nanophotonics, biophotonics, nanomedicine, lasers application in life sciences particularly those used in photosensitized tumour therapy; fluorescence methods in biomedical diagnostics and visualization; biomedical applications of nanotechnologies etc. Because of the inventions and developments on bioengineering, nanotechnology and microfluidics, complex laboratory tests can be done in small sized, mobile and easy to use devices at point of care (POC). Those devices are called Lab-on-a-chip (LOC) and they can also be used as biosensors for diagnostic purposes, Fundamental concepts of POC tests, LOC device, biosensors and their future projections are introduced. Novel methods for POC test using LOC biosensor devices will be explained: impedance spectroscopy based sensor to detect the biomarker; lensless wide filed microscopy originated imaging technique. Ph.D. in Electrical and Electronics Engineering. Assistant professor at the Biomedical Engineering Department, Başkent University Ankara, Turkey. Research focusses biosensors and microscopic image processing. Owner of the company that is mainly directed to biomedical signal/image processing, biomedical instrumentation research/development. Weak electron emission nonlinear current is inspired by earlier destruction, heating, radiation etc. The examples to employ weak emission to characterize materials are considered. 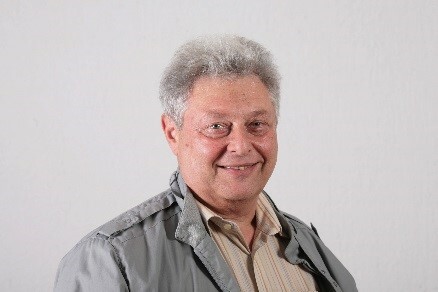 Prof. Yuri Dekhtyar , PhD, DSc. 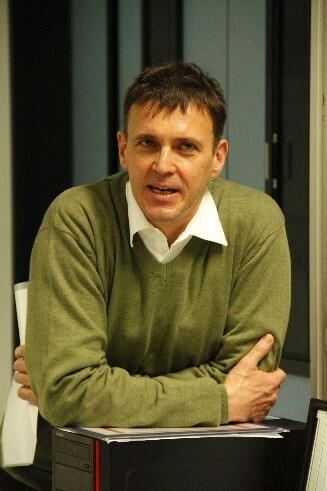 Head of the Biomedical Engineering and Nanotechnologies Institute of the Riga Technical University, Latvia. Full member of the Latvian Academy of Sciences. Leader of the number of the National and International projects. Research in electron spectroscopy, solid state surface physics, characterization and functionalization of biomaterials and nanoobjects.